A rare bottle of whisky is gaining worldwide attention ahead of an auction in Hong Kong next week. The 1972 Brora is the oldest official bottling of the expression to come up for sale and is the only bottle to have been drawn from the cask, offering its purchaser a taste of true rarity. It is both the first and last of its kind, and represents the pinnacle of Diageo’s single malt Scotch whisky reserves. 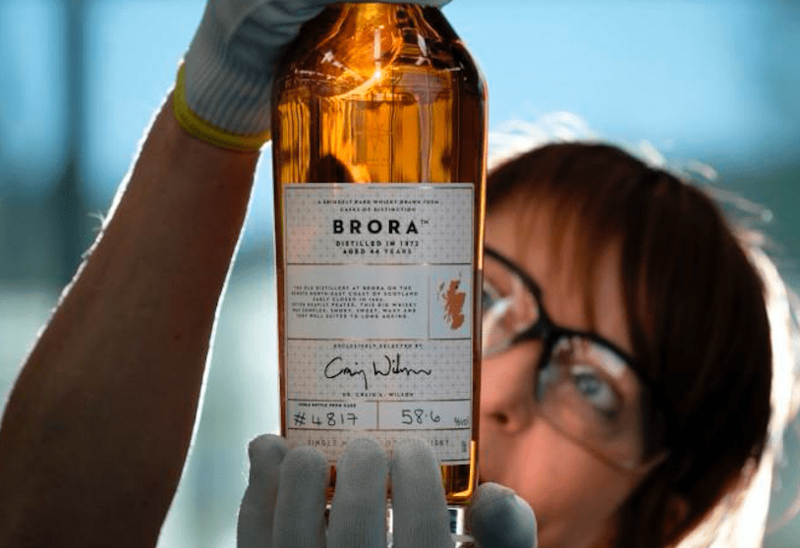 Dr Nick Morgan, head of whisky outreach at Diageo, said: “We’ve seen a rapid growth of interest in rare and collectable whiskies, and this bottle of 1972 Brora is the epitome of that. Originally known as the Clynelish Distillery, production began in Brora Distillery on the north-east coast of Scotland in 1819 with the backing of the Marquess of Stafford. Between 1972 and 1974 production of Brora was in batches, becoming regular in 1975 when the distillery itself was officially renamed Brora. It was, however, only produced until 1983, when the distillery was mothballed never to reopen. Martin Green, Bonhams whisky specialist in Edinburgh, added: “It is a great privilege to be able to offer this very special whisky at our sale room in Hong Kong.